Taken from their sophomore album Malibu Nights, out now on Interscope Records, “Thick and Thin” has already racked up over 42 million streams since its release at the end of last year. The video sees a reflective frontman Paul Klein hitch a dangerous ride, cruising along the palm tree-strewn California coastline at dusk. With global streams of over 1.5 billion and over 200 million video views to date, the Los Angeles trio are taking their new album on the road this year for a run of 100 + dates across North America, Europe, the UK, South America, Australia, New Zealand and Asia. The North American leg beginning April 23 in Miami, FL and concluding on June 27 at Los Angeles’ famed Greek Theatre. See below for tour itinerary, fans can visit https://thisislany.com/tour for tickets and more details. 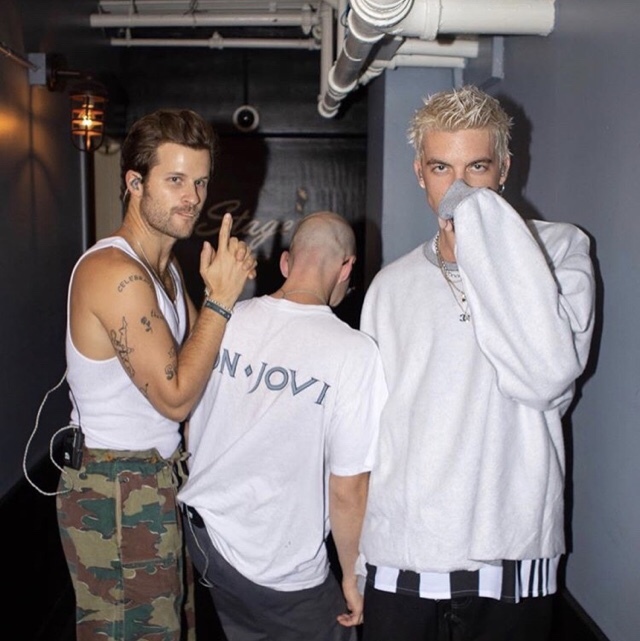 This entry was posted in Fashion + Music and tagged 360, 360 Magazine, album, apple music, iTunes, LANY, Los Angeles Times, Madison Smushkevich, Malibu Nights, spotify, Thick And Thin, tour, tour dates, tour tickets, Vaughn Lowery, vevo, YouTube on February 6, 2019 by wp360mag.